Kefir is similar to yogurt, but it has a thinner consistency and contains yeast in addition to the beneficial probiotics found in yogurt. Plain kefir has a tart flavor, but the food also comes in fruit and vegetable flavors. While kefir does supply key nutrients, such as protein and calcium, contemplate a few drawbacks when deciding whether it deserves a place in your healthy eating plan. While you need calories to survive, consuming more calories than you can burn will lead to weight gain. Consuming kefir won't necessarily cause weight gain, but it tends to be a calorie-dense food. So if you eat several servings a day, you might be consuming more calories than you need. A cup of plain kefir contains 150 calories. A cup of whole milk, wild berry-flavored kefir has 190 calories, and the same serving of honey-flavored kefir contains 220 calories. Low-fat fruit-flavored kefir averages about 140 calories per 1-cup serving, and the same amount of vegetable-flavored kefir has between 120 and 130 calories per cup. Flavored kefir contains added sugar in the form of cane sugar or cane syrup. A diet that's high in added sugar can cause unhealthy weight gain, which in turn increases your risk of heart disease, according to the American Heart Association. A 1-cup serving of low-fat strawberry kefir contains 20 grams of sugar. While some of that is the naturally occurring sugar in the milk used to make kefir, much of it is in the form of added sugar. Other low-fat flavors, such as cappuccino, honey fig, chocolate truffle, vanilla or cherry, contain between 20 and 21 grams of sugar per cup. A cup of honey-flavored kefir has 38 grams of sugar. Kefir contains varying amounts of saturated fat, depending on whether it's made from whole or low-fat milk. 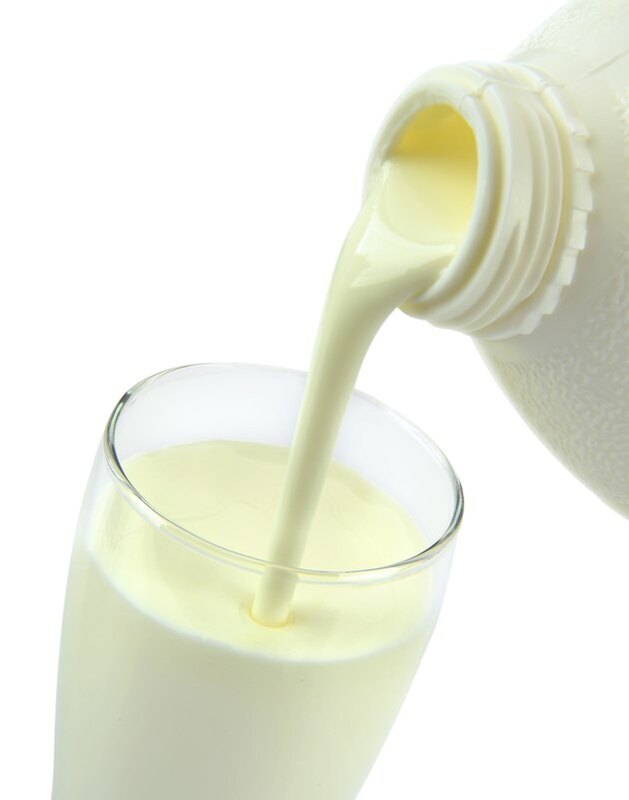 A cup of whole milk plain kefir contains 5 grams of saturated fat, which is about 25 percent of the daily value. One cup of low-fat plain kefir contains 1.5 grams of saturated fat, which is 8 percent of the daily value. Fruit- and vegetable-flavored low-fat kefir also contain 1.5 grams of saturated fat per 1-cup serving. Limiting your intake of saturated fat to 7 percent or less of your total caloric intake can help keep your heart healthy, according to the American Heart Association. While the probiotics in kefir can be beneficial for most people by helping maintain a healthy bacteria balance in the gut, probiotics aren't for everyone. Side effects, though not very common, include gas, upset stomach and diarrhea. Individuals with compromised immune systems, such as those undergoing chemotherapy or experiencing bowel problems, shouldn't use probiotics without doctor approval, according to the University of California Berkeley Wellness website. If you are seriously ill with another condition, probiotics may not be safe for you either, so always speak with your doctor about kefir before adding it to your diet.